Phone has become our communication hub. 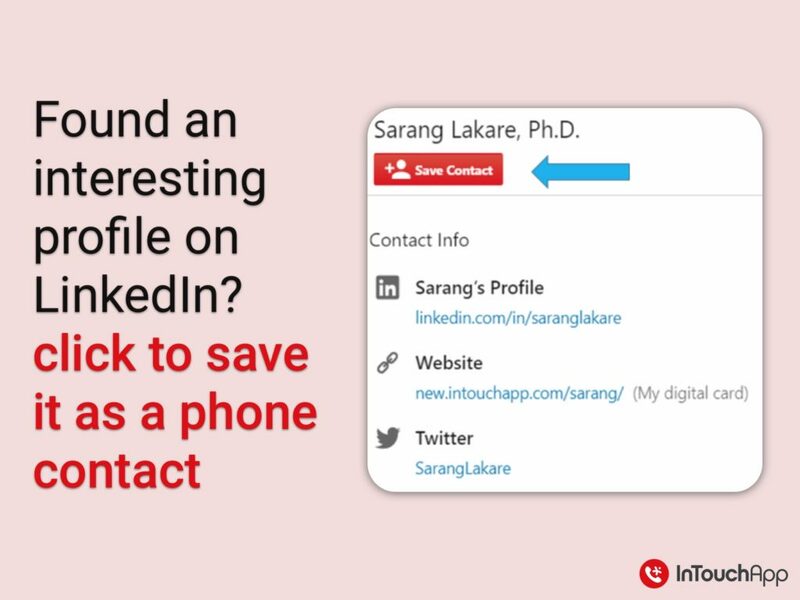 Most communication apps now work off our phone contact list, making it necessary to add a contact to your phone. 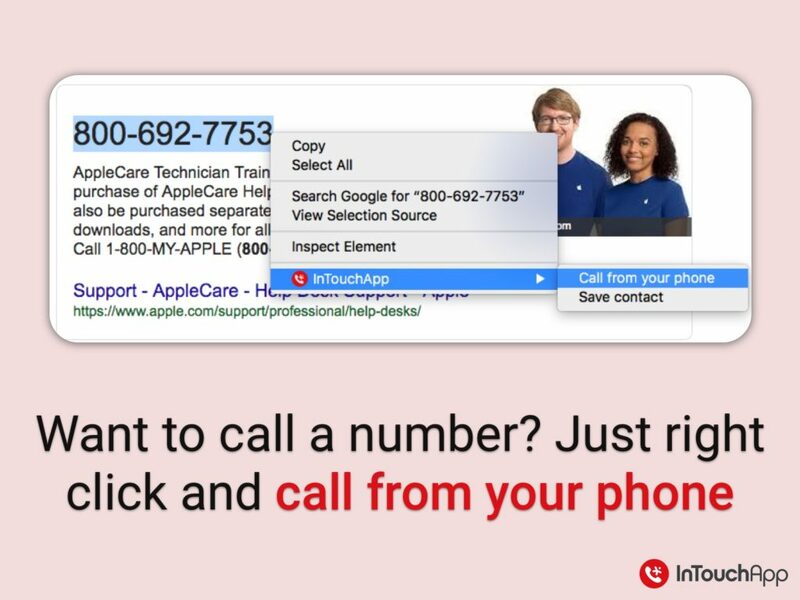 When we are working on our laptops and browsing the web, there is no easy way to bring contacts and other content from web to the phone. 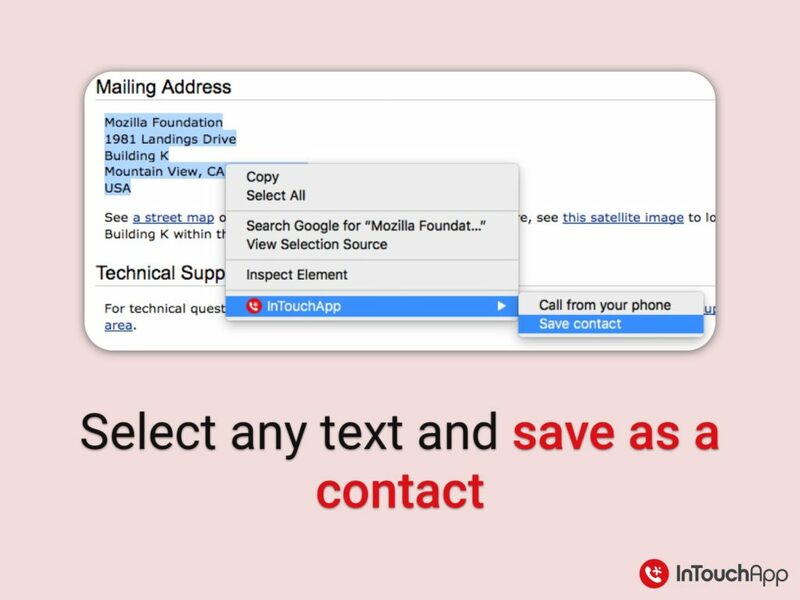 InTouchApp for Firefox connects the web to your phone and makes it super easy to bring contacts and other content to your phone! 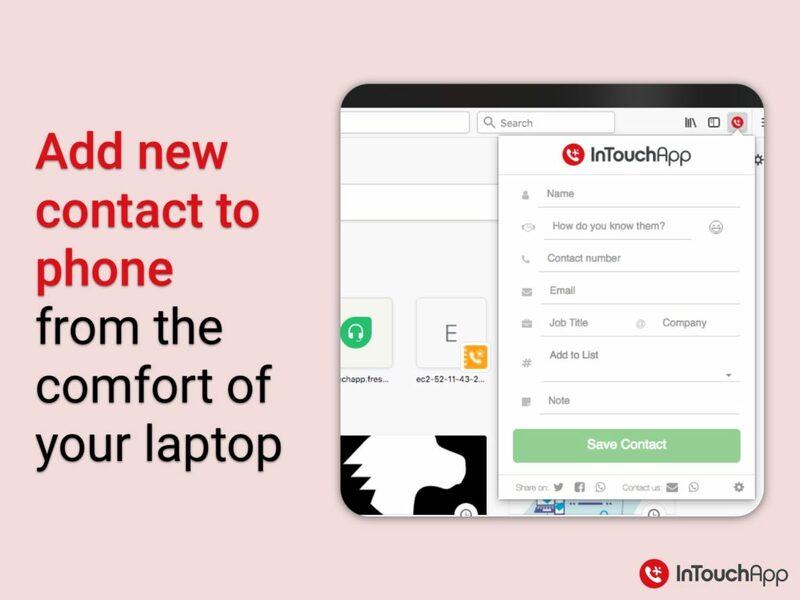 Install InTouchApp on your phone and sign up. 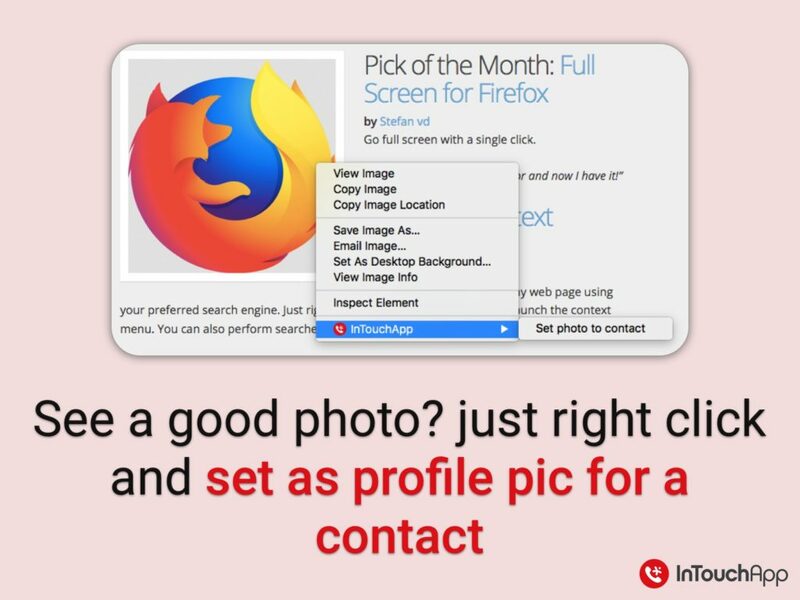 Then, install the Firefox extension in your Firefox browser and login. You are ready to go! 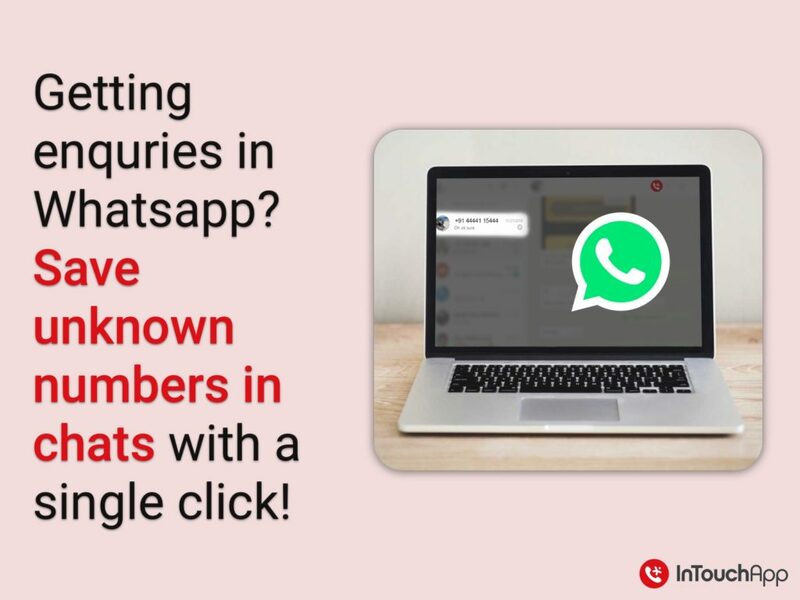 WhatsApp Tip: If you get enquiries from customers on WhatsApp, they show up as “unknown numbers”. 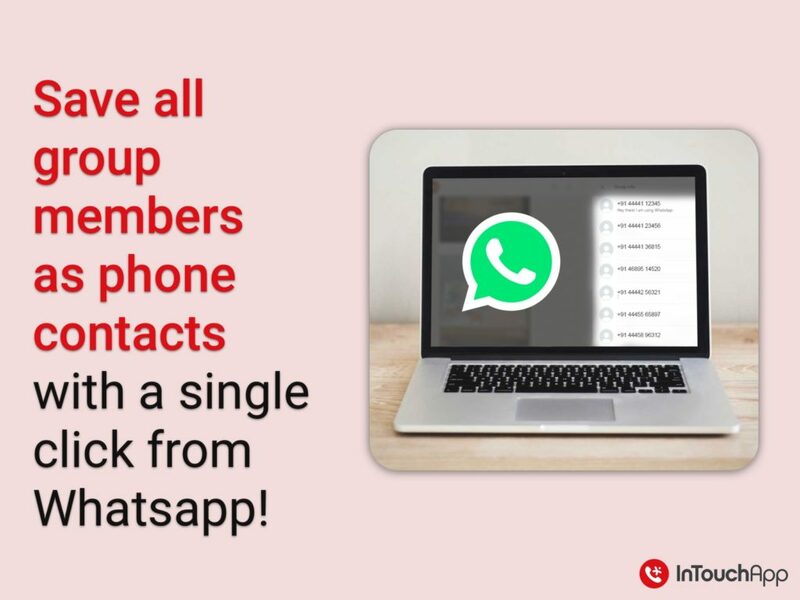 With InTouchApp add-on, you can easily save all these numbers to your phone contacts with one click! Save time and effort and build your customer database properly. 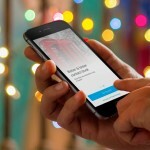 Every customer counts! Do not miss!  We’d love to hear your feedback! Please write in comments below. PS: The extension is also available for Chrome.